Usually the autumn rains start in September, but this year has been very dry. Finally though they have arrived and over Thursday/Friday we have had more than 60mm (more than we had in the whole of the period from mid-June to mid-October). 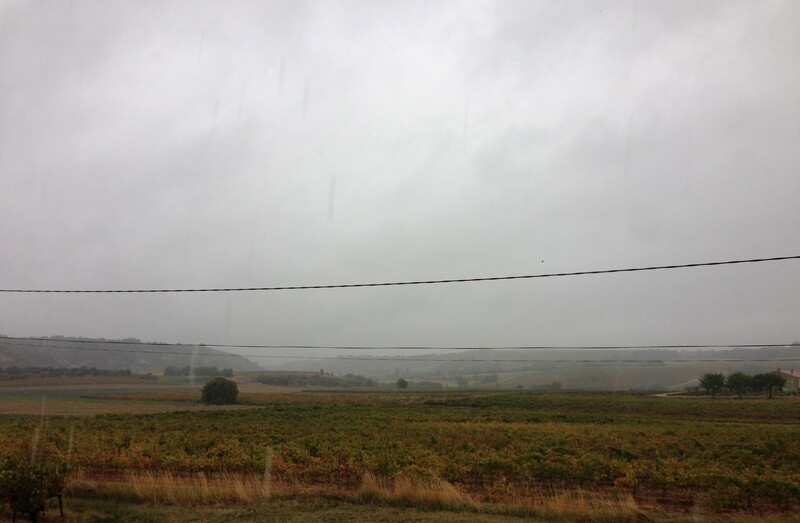 We were glad that we finished the harvest before the rains arrived as they always complicate matters, but it is good to finally get some proper rain and as we spend all our days working in the winery it doesn’t matter too much what the weather is doing outside! About half of our vats have now finished fermenting and most of the others should be finished by early next week, so we will start pressing soon.